Notice: Interview with the developer is at the end of the review. I think if you’re an aspiring dev, it may be an interesting read for you. Especially if you don’t have prior background in game development like other indie devs. What got me interested: I have a problem…I may be a simaholic. If only you guys can see the amount of sim games I have on my computer. From Sims 3, Civilization, Black and White, and Anno series (got this babies on sale! 50-70% off! ), to survival sim games like Don’t Starve, Minecraft, or Terraria. 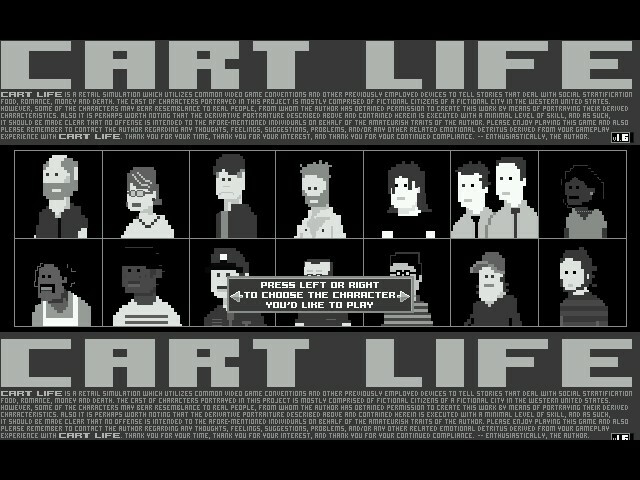 I hunt them almost daily (especially on the iphone) When I stumbled upon Cart Life, I was intrigued by both it’s artstyle and the fact that it’s a simulation about running a stand instead of the usual whole store. I’ve only really played one game like it so I checked it out. Retail Sim is actually my second favorite type of simulation. Oooh the rush of feeling like I’m a strong successful business woman! Yes…work slave if you want that promotion heheh…Er, I’m gna move on before I scare people. I was unsure at first, but now I’m glad I have the game! I was going through my sim scavenging ritual when I stumbled upon Cart Life on steam. As I said, I play a lot of sim games especially retail ones so I was unsure about Cart Life keeping my attention. The description made me feel as if it’s like the other retail sims I’ve played (sorry person who wrote the description).For example, I used to play this one lemonade stand game as a kid. You make the lemonade, interact with the customers, complete the “quests/challenges”, sell, and repeat. The only “special” thing about it was you get to simulate making the lemonade. Now, that’s too monotonous even for this simaholic. I was yearning for something that stands out but I wanted to approach the game with an open mind. I also felt like there’s more to the game. So I went ahead and did more research and found myself going “oooh”. The game actually delivers not only in complexity but in detail as well in terms of gameplay. I was pleasantly surprised. It didn’t just simulated the characters’ livelihood, it simulated the characters’ lives. 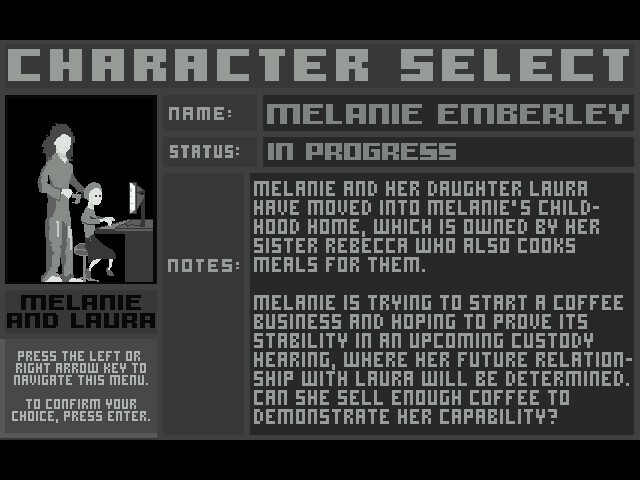 Each playable characters has their own backstory and life challenges you have to help them go through. Cart Life certainly provided me with a refreshing game. 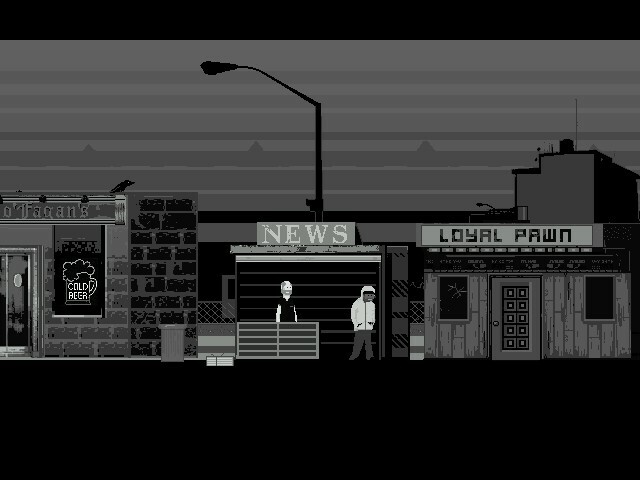 As you can tell from the picture above, the game went for the retro game artstyle approach. Now I personally love it because it makes me feel nostalgic of the old games I used to play. I’m pretty sure many people would feel the same. However, my eyes get strained on the written parts such as dialogues and written choices. The font is just hard for me to read especially because the game lacks color. For my eyes, it‘s like experiencing the opposite effect of how looking at green can help your eyes discern things more, especially when you’re reading (I wrote a fun fact that explains why. It’s located below this section). As I played, I had to take breaks because my eyes started to get strained from trying to isolate and read the words. Maybe if there was a font option where we can choose from fonts of the same theme but with different types to accommodate people who’re experiencing the same thing. Of course, this would be more of a personal problem and fix for those that share the same visual perception problem. This is not something the game is at fault with. Aw man, this game has one the catchiest soundtracks. I feel like my brain got trained well by this one. Whenever I see a picture of Cart Life, any picture, even if it’s not one of my screenshots, my brain starts playing the retro music of the game. Heck depending on the in-game location of the picture, my brain even switches tracks to play the right song. You may wonder what the heck I’m talking about, well it’s like this, every street pretty much has its own soundtrack. Let me tell you they’re all catchy. My head is currently playing the songs as I write this whole review. Being that each character have their own unique stories, the game is, indeed, replayable (which makes me happy personally). 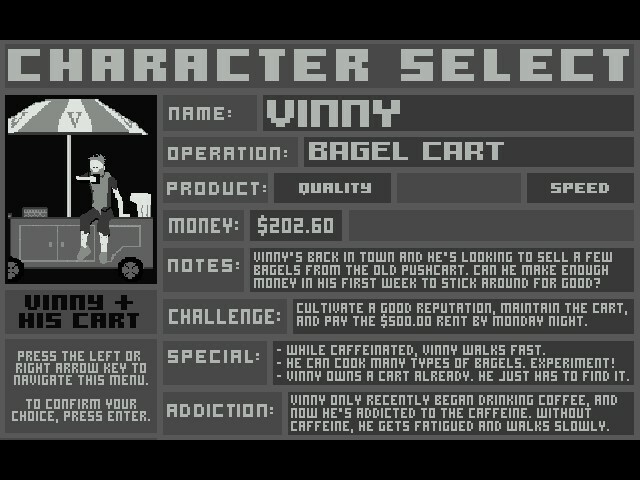 Also, as I mentioned earlier, all the characters have different specialties, addiction, and challenges (which you can check out from the images above). Therefore, starting fresh with another character will not only offer players new products to create and sell, but a new personal story as well. If you’ve been following my blog, you will notice I try to see absorb every detail in games that I play and review. I really love seeing “easter eggs” hidden (or sometimes shown blatantly) in the game. I’m especially critical when it comes to simulation games, well, for obvious reasons. Being that it IS suppose to simulate whatever the game was planned to, I want to see just how much effort the developers really put into the game in terms of detail. Having said that, I was really happy to see that Cart Life did not disappoint in that area. Note: Because the simulation in the game contains plenty of details in a couple of ways, I broke it down into criterias: Actions, Personal well-being, and Life. Actions: Let’s take the picture above. I had to manually have her hand move for her to brush her teeth and spit on the sink. When I was making the things I had to sell, I sometimes had to go through this series of actions while pressing the right keys to manually have her do them (more detail on that later). It’s not automatic like in other sim games where you only need to click on the object and it’ll do the rest for you. If she had to steer, I had to press keys in a circular pattern, and so forth. Let me tell you, it can get stressful especially when there’s a time limit (we can’t let the customers wait! that’s bad business). Well-Being: This aspect is similar with The Sims games. You have to keep track of your characters’ hunger and exhaustion otherwise, like real people, they won’t function well. They’ll refuse to work until you take care of those needs. The characters also have addictions that you have to watch out for. The game will tell you what will happen if you enable these addictions. Life: By now, you guys know that we have to help our characters through whatever life was throwing at them. We have to help them manage time and responsibilities. I don’t want to mention any spoilers so I’ll try my best to describe how it works. Let’s start with being a vendor. Just like in real life, your characters must try to socialize and befriend potential customers that he/she will meet along the way. So whenever you meet someone new or talk to someone you befriended, you will get an option called “small talk” that will hopefully give you the information you will need to know such as their likes, dislikes, and habits. Knowing these things can help your business. New target sighted… I mean, yay a new friend! Now I’ll talk about the simulation in life events and responsibilities. Just like in real life, your characters’ choices and actions will result in consequences in their respective stories. I don’t want to say more because it might end up being confusing without giving an example, and I really don’t want to spoil it. I’ll use one example where it hopefully wouldn’t give away the story too much. Let’s use the mother character. Now, most parents try to make sure they’re there for their children and try to raise them right (well, what’s right in their eyes). 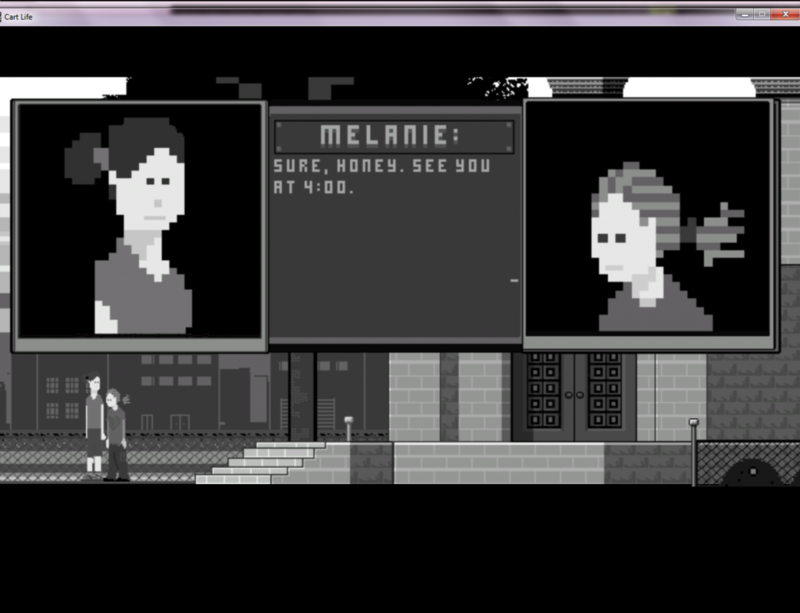 In this game, you get to simulate a bit of that when you use the mother. As you can see from the picture above, one of my character’s responsibilities as a parent was to make sure her kid gets home safe…Soooo…I didn’t do so well the first time. I seriously thought I picked the option of telling her that she should take the bus because I was going to have my character prepare her stand and get money, but I guess I misclicked! I wasn’t able to pick her up which resulted in everything going chaotic. It was pretty bad (sorry, again, can’t say much). My character also received some questions kids usually asked their parents, and I had options on what answers to give her daughter. I think this detail in life simulation is a nice touch to the game, it adds more realism to the characters because they actually have to go through things that real life people in their positions would have. If you guys get the game you’ll see. I believe players might be able to relate in someway with the characters and/or be emotionally invested in them because just like in real life, it’s not all roses and butterflies. Aw man I really love the detail that was put into the animation. It’s a bit hard for me to fully explain. The animations weren’t grand or in your face. In fact, I guess they can be described as subtle. However, even though that may be the case, it actually adds to the overall feel of everything as a whole. For example: I was trying to purchase a stand so I was prompted to have this npc build it for me. I went to her shop and I saw the npc with her faceprotector on, welding whatever it is she was welding. When I approached her, I was expecting the usual. I thought I would just get a dialogue as she continued to be in welding animation. I was actually surprised to see her stop what she was doing, take off her face protector, and speak to my character directly that way. When I left, I was expecting her to stay in that pose until I come back to the building again. Again, I was mistaken because the NPC put her face protector back on and went back on welding. It was refreshing to see because, again, in real life, that’s the response we usually get as customers. I thought it was pretty cool. There are others as well, but I think it’ll be more fun for you guys to see them for yourselves. I’m not sure how it is yet for the other characters, but for the mother character, I’m having a hard time balancing picking up my kid, with being on my stand long enough to make money. I had to start walking her at 7-8 am then I had to do the chores I need to do for my stand. The problem was, I had to travel to a couple places to get what I needed and I ended up not finishing all of them because I had to leave at least an hour or so earlier to pick her up, otherwise I’d be late. So in the beginning of the game, it took me a couple days to even set up my stand and finally start selling. So in terms of time and money management, this may be trickier than other retail sim games because you have to take into consideration what’s happening with the characters lives. Having said that, it would be really wise to make sure you manage your time wisely by: checking the estimated arrival time of the 3 possible transportation you can take, as well as being weary of what time it is ingame Note: it seems like some people are saying the ingame time is a bit too fast, it’s 50/50 for me. The transportation, aside from walking, are closed on certain hours. Then there’s the part I mentioned earlier on “detail in simulation” where you get your character to make his/her product by manually having them go through a series of steps. As I mentioned, it gets a bit stressful because you have a timer counting down and if you misclick you’re going to have to start again from the beginning. Afterwards, if you’re successful, before you can finish with the customer, you will be taken to the cash register where you will have to give the customer the right change. If you’re just starting out, I suggest making it easier for yourself by pricing your items where it’ll enable you to calculate faster in your head. Take note, you only have a couple seconds to give them the change, so if you’re still getting used to the countdown and the process of creating your products, you might end up getting flustered and consequently lose customers. Some people reported getting multiple bugs, while others didn’t even get one. The most common bugs I’ve heard about and experience is the cash register bug. The one I got was the disappearing change bug. In the beginning, I was too slow in handing over my customers’ change. However, instead of my money returning to my cash register, whatever I had taken out disappeared instead, even though the customers didn’t take my change. I eventually “ran out” of change. The only remedy I found was for you to wait until you get a customer that gives you an exact amount and supposedly after that your register will have money again. 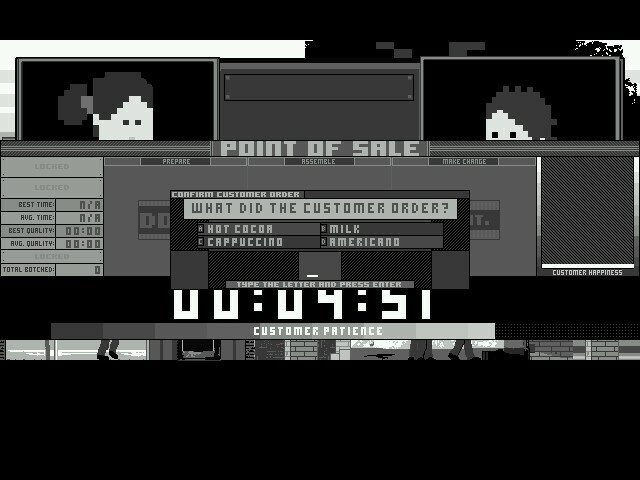 Then there’s the bug where even though I was giving the right change to the customers, it kept saying it was wrong. I looked around the web and found a couple people experiencing this too (haha I ain’t THAT bad in math). Another I heard about was the cash register not opening. I read that you can solve this by waiting til the key stops moving before you open the register. Personally, I’m enthusiastically recommending Cart Life to my friends already (Free version to try first then purchase if they want to show support). It’s just so refreshing to find a simulation game like this. 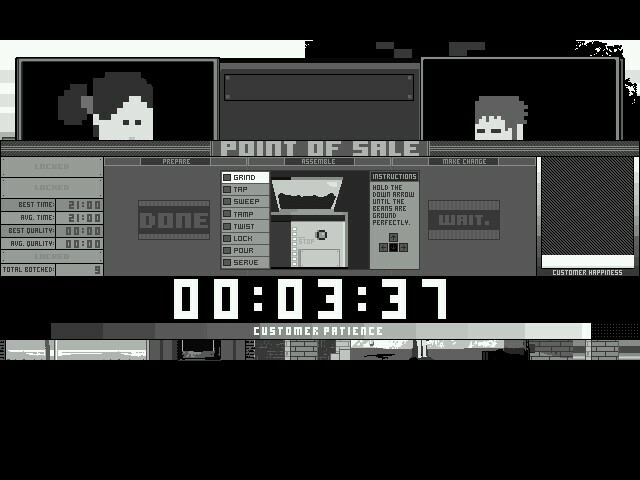 It didn’t just try to simulate running a store like many of the retail sims we see today, it pretty much simulated everything. What I mean is that I feel like the game gave me a sense of “behind the scenes” because the game simulated the life of the stand owners as well. The great thing about it is that the game doesn’t just give the playable characters backstories then call it a day. Cart Life offers the players the ability to help the characters go through whatever adversities they had to face. However, at the same time, the actions you decide for your characters to take will have consequences. I really love this aspect of the game because it makes it more real for me. The game also contains a LOT of detail which ties in everything very nicely. Of course like many games, it’s not perfect. Some people have a hard time learning the game, so to others, the learning curve might be too high. Then there’s people who were experiencing many bugs that rendered the game unplayable for them. Because of this, I recommend getting the free version first! Personally, I feel like people should still get the game (at least the free version until the game gets fixed enough where you’re comfortable to purchase it) since there are ways around the common bugs, although I understand it can get frustrating. Also, the developer actually asks the people who purchased the game to go and report all the bugs they find to this one webpage dedicated to bug tracking. So the bugs will be fixed. If you’re like me who wants to play something that stands out against the sea of similar retail sim games, I highly recommend Cart Life. • What was your inspiration for cart life? Applying videogame systems, which are normally very exciting and whimsical, to mundane aspects of everyday life seemed ironic and fresh. 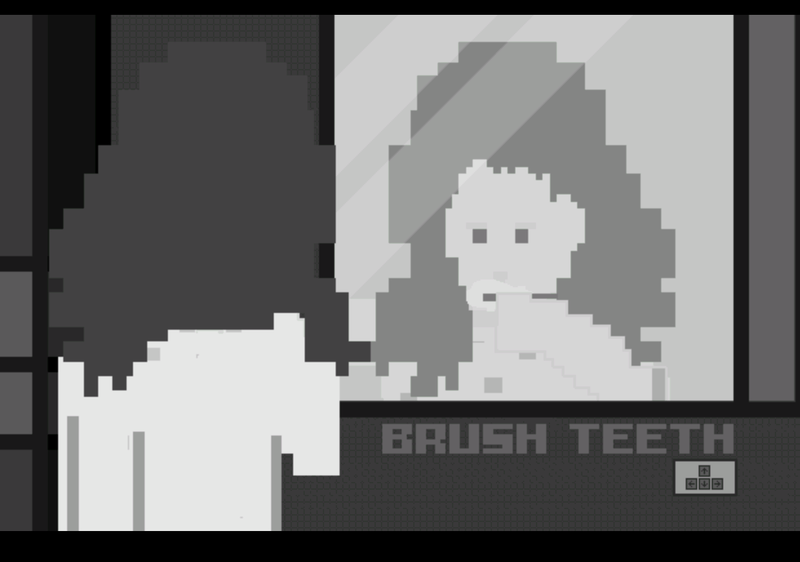 Also, I wanted to exaggerate the aspects of my own struggles in the form of a game, like a self-portrait. I want to explore every city, eat at the food carts, make friends and read books, but there’s only so much time and rent’s due again, pretty soon. • Did you planned cart life to have a retro 2D pixel theme or did you originally planned it in another way? Yeah, I followed my own set of visual rules. Square edges on rectangles, big, sharp and grey. Originally, the speaking portrait animations were more like pen and paper illustrations, but that switched over to complete pixelry right away. 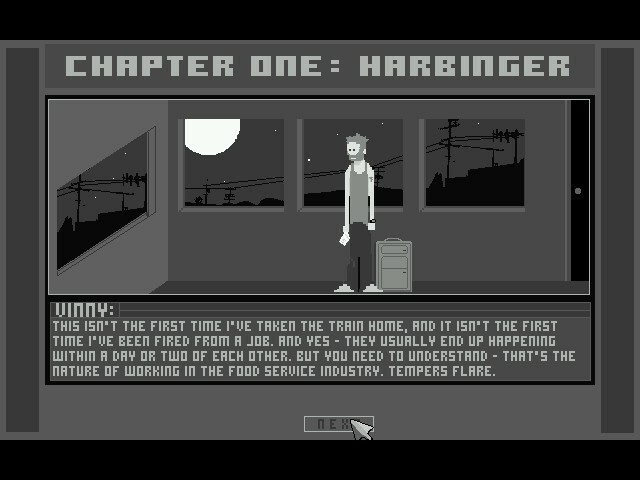 It has to look like a videogame to operate as intended – it’s a game about games. Well, it was much more time-consuming than I originally estimated, but it was fun as hell to just jump into making games and that’s a great way to learn. I’ve spent a year or two watching people play Cart Life, and it’s the hidden details and the more subtle things which turn out to be most rewarding for players, I think. So, it’s good to tuck things away for people to find, later; the little notes and things that most players just don’t see are especially nice for the players that do find them. • Was this your first game you developed? what/who were your inspiration? Well, I’ve made a few other games, but nothing on the same scale as this one. A few summers ago, my friends and I built a game about waffles in a somewhat waffle-like arcade cabinet and traded it to a waffle restaurant in exchange for free waffles for life. 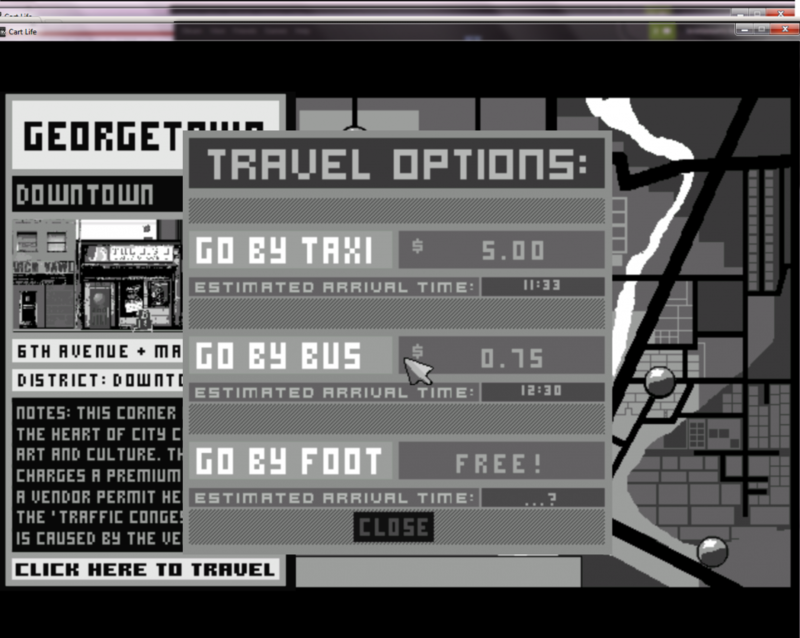 There’s a turn-based robot thing wherein all information is displayed in Korean Hangul. 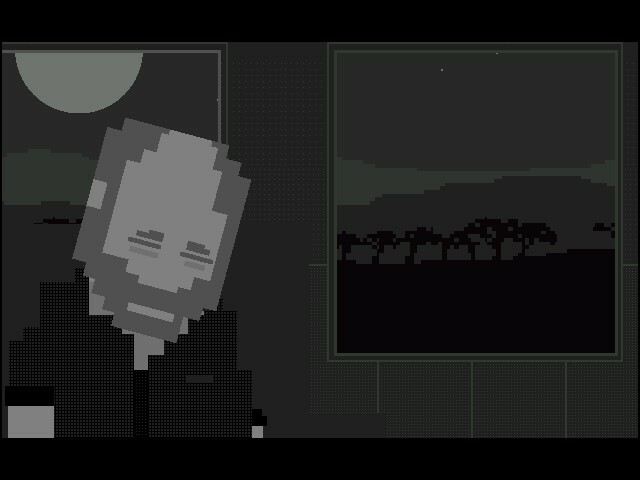 An stealth game about secretly filming a governor with a cellphone camera. You can make games about anything. • Did you have prior experience or worked for another game company before you became an indie developer? Nothing in videogames, but I’ve had a ton of jobs. Dishwasher, drywaller, director of local live television newscasts, you name it. I used to DJ parties through an events planner, so one night I’d be eating cake and ice cream at a Bat Mitzvah and the next night I’d play disco at an insurance conference afterparty. Anything to pay the bills. • Was this a one man project? if yes, how was the experience of being a one man beast mode? Tough question. Sure, I like to claim credit for this game, but I didn’t build AGS, which is the toolset that runs Cart Life. I didn’t do much of the music – thankfully these amazingly talented chiptune artists said “Yes” when I asked permission to use their compositions. I had a lot of help from friends who tested the game and gave me suggestions during development – especially my girlfriend, Jenny. Otherwise, it is nice to work alone, sometimes – especially while nudging pixels around or trying to clamp down a piece of code. • Any advice for budding developers out there? Yeah: Escaping distractions like this one might be the first important step in building your next game. Awesome, seriously. Awesome. Great post. Thanks for sharing. It is very useful.